Everyone is pleasant, thorough, and professional. Such a great place to go. The overall experience was very pleasant. The staff is very cheerful and very attentive to detail. I’ve been very happy with the folks at Green Street Dental. They’ve been very accommodating in making appointments or changing them when needed. I never have to wait long and I appreciate the pleasant waiting room with free coffee and WiFi. The hygienists and dentists take time to really listen to my concerns and answer my questions. They do quality work and are a lot more gentle than other dentists I’ve had. Everyone was very helpful and friendly. It helps going to the dentist when you know that you can go and talk and relax before the DENTAL WORK…. They make you feel comfortable and the work is always painless… Nice Job Dr. Olenwine. Always a pleasure going to the dentist there~ People always super friendly and nice conversation makes for a relaxing experience. Excellent and thorough care. They spotted a fragment of shotgun shot I’ve had embedded in my upper jaw since I was a teenager which no one else has ever noticed! Wonderful everyone & everything!! All (the) staff are amazingly: helpful, kind, patient, pleasant & courteous. Everyone goes above & beyond in providing the most excellent care, pleasant & efficient visits, thorough explanation of procedures & home habits for dental health maintenance. All appointment & billing questions & needs are promptly provided for client’s satisfaction. A truly wonderful & amazing staff and experience!! I look forward to my husband & daughter becoming new clients as well! I love Green Street Dental Associates! 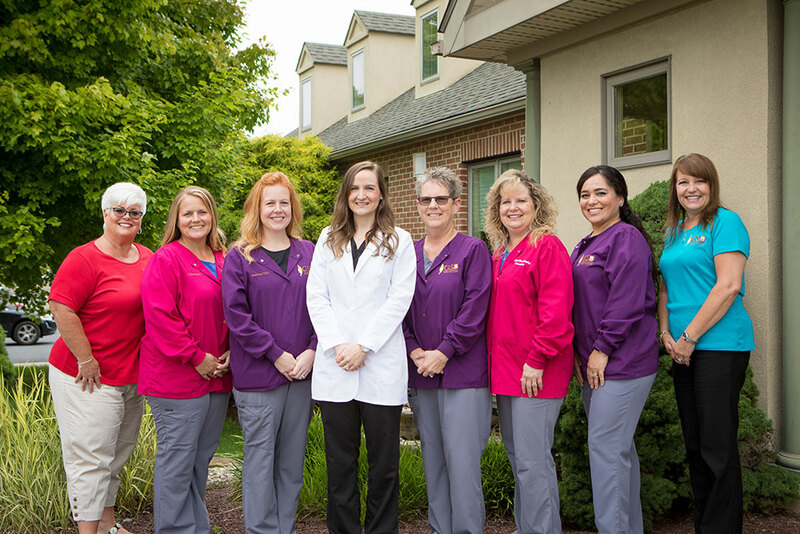 Dr. Olenwine and her staff are always friendly and courteous! TOP NOTCH DENTISTRY!!! Always-friendly service. And no high pressure to have expensive dental work performed unless it is necessary. I have been a patient for about 15 years and have always received good care. Routine cleanings are usually a full hour and very thorough. They offer a great deal on lifetime whitening as well. Highly recommended.